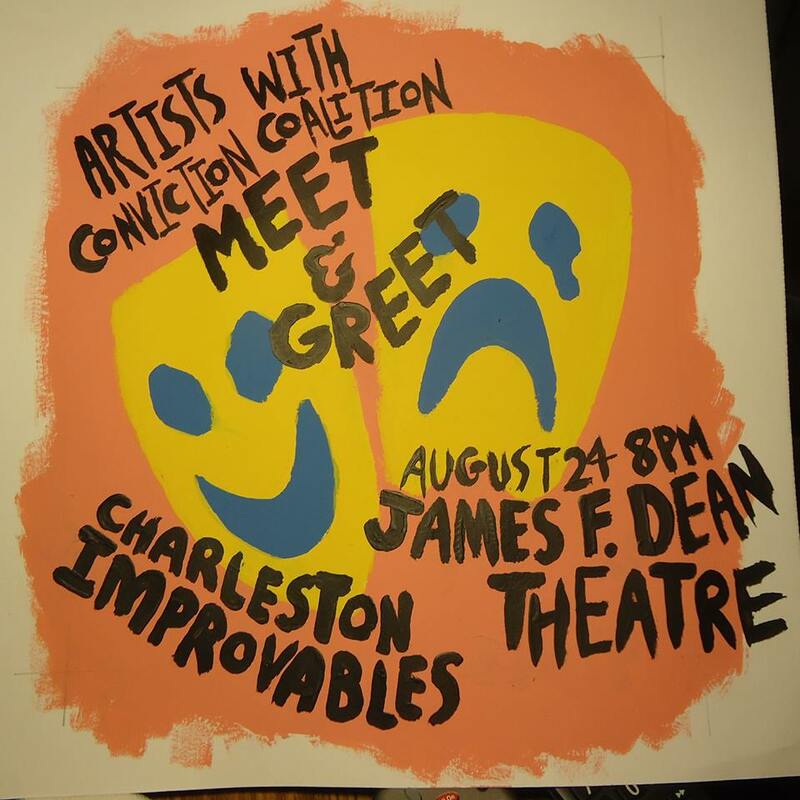 Awesome event poster hand painted by the Coalition's very own Robert Frank. This is the page where you can buy your group ticket to sit with the rest of the Artists with Conviction Coalition on Saturday, August 24th for the show at Flowertown. We are not able to reserve seats or pick the section we will specifically sit in, so our only option for sitting together is to buy all the tickets we need at once. Brian Carter, The Head Improvable, says that all this week they will be promoting the show and seats will be going Fast. For that reason, it is impertinent that all tickets have been purchased by the end of the week. I will be purchasing the tickets this Saturday the 17th, so please don't procrastinate in getting your seat. Ideally we will be sitting near the front of the stage, but as you know, those seats go fast. The quicker we can get everyone's ticket bought, the better seating we'll have! I made this Pay Pal button so that I can buy all the tickets together at once. We will meet up outside the theatre before the show where I'll give you your ticket. When you purchase, please make sure you tell me your name so that I know exactly who to give the ticket to. P.S- the 66 cents extra comes from the fees charged by Pay Pal. I calculated it by using this website. Comment below if you have any questions at all! This Coalition event has expired! See you guys at the next one.